The day following my trip to the Weizmann Institute of Science, the opportunity to visit Jerusalem arrived. I had a morning army meeting to attend and, upon completion, headed for Machane Yehuda shuk (bazaar) in search for craft beers unavailable where I live up north. Dodging the scattered rainshowers, I successfully procured some fine stouts and meandered through the bustling shuk until reaching the light rail. 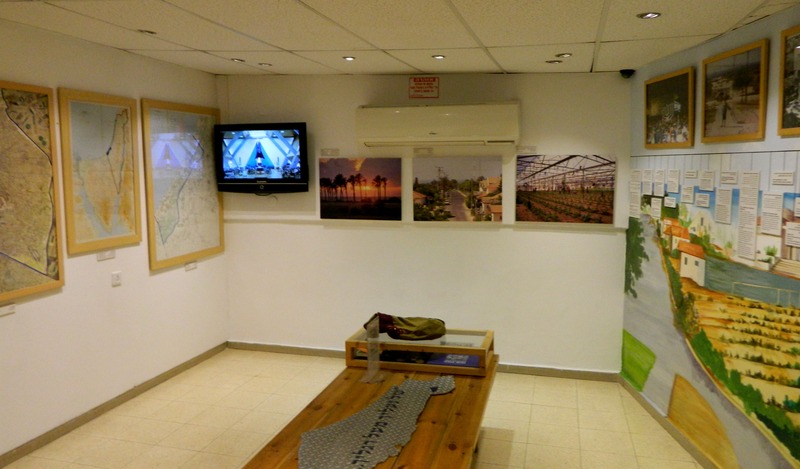 Glancing at the station map, I noticed that there was a museum just around the corner – the Gush Katif Museum. Having moved to Israel in 2009, I missed the dark chapter that gripped the nation just four years earlier. I’m referring to the Israeli disengagement of the Gaza Strip in August 2005, the disbandment of Jewish towns and their inhabitants who called Gaza their home. Gush Katif is the Hebrew name for the area in the southern part of Gaza where Jews have been living on and off since Biblical times. The first recorded mentioning of Jews in the Gaza area was about Abraham settling in the Nachal Grar area (I have previously written about this in the Be’eri Forest post). Another notable Biblical period was the time of King Solomon, when he ruled “…from Tifsach to Gaza”. And then, during the times of the Romans and Byzantines, when Israel’s largest excavated synagogue was built. Once the Second Intifada began, the security situation became a bit dire, and the Jewish settlements of Gush Katif received 6,000 mortar and rocket attacks, resulting in tremendous property and psychological damage. 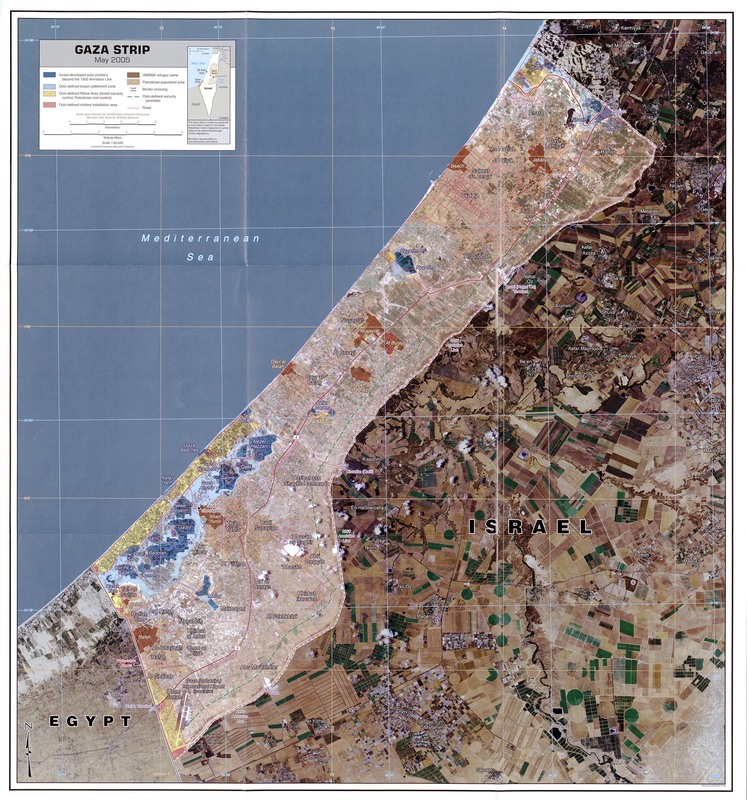 Despite the heavy resistance (more than 60% of the general population opposed), the Sharon Administration decided to disengage from Gaza. What ensued was a period of hardship for the Israeli nation. 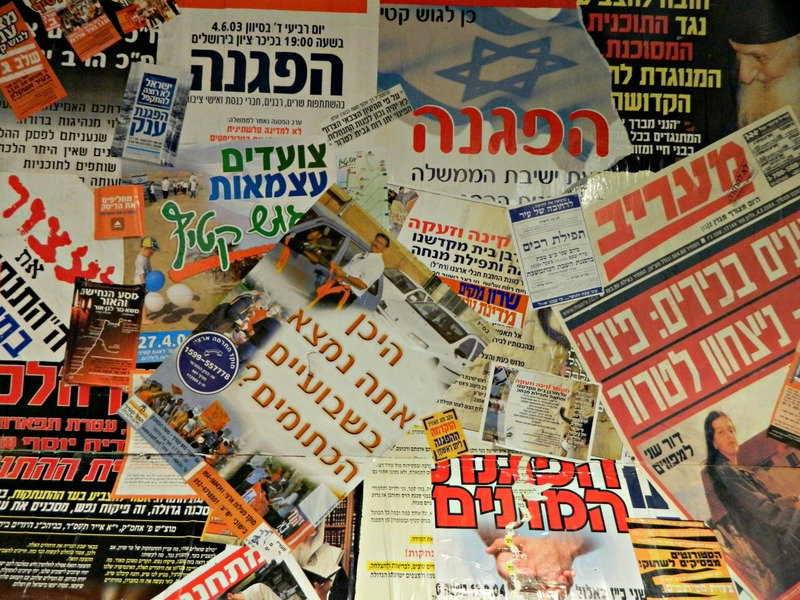 The counter-movement to the disengagement was “The Orange Struggle” – orange representing Gush Katif. Tens of thousands of protestors – civilians, policemen, soldiers – all stood in solidarity against the disengagement, even creating a “Human Chain Demonstration” with 130,000 people stretching 100 kilometres. Alas, on August 15, 2005, the forced evacuation began, and it continued throughout the towns, one by one, until the 18th, when the last town was cleared. 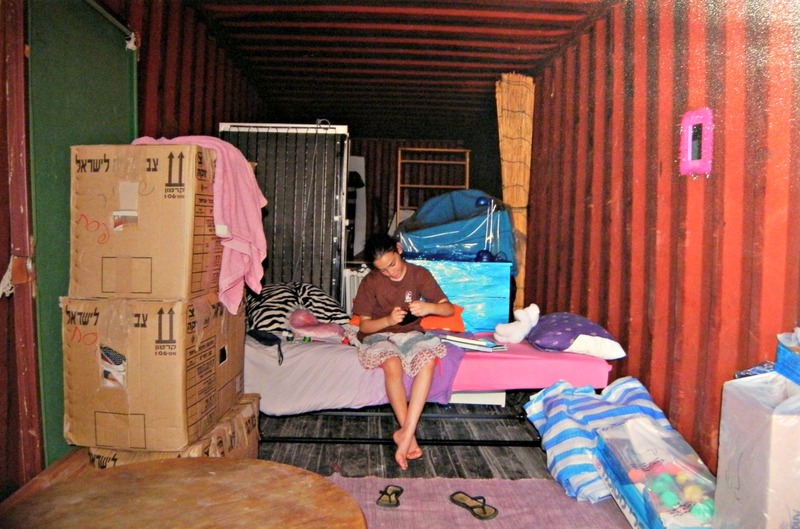 Without getting into great detail, the evacuation had some hiccups but eventually the newly homeless Israelis were moved into temporary living places such as converted shipping containers. I once spent Shabbat in a town between Ashdod and Ashkelon called Nitzan which has a large population of Gush Katif refugees living in mobile homes. To this day, nearly ten years after the eviction, there are families still living in sub-standard housing. The day after visiting Mount Meron I took a bus and a train down to visit a friend in Rechovot. This friend, Levi Burrows, went to high school with me in Miami and invited me down to tour the Weizmann Institute of Science with him. I graciously accepted and met him at the institute’s gates under heavy rainfall. We sought shelter in his studio apartment before setting out to explore the interesting campus grounds. 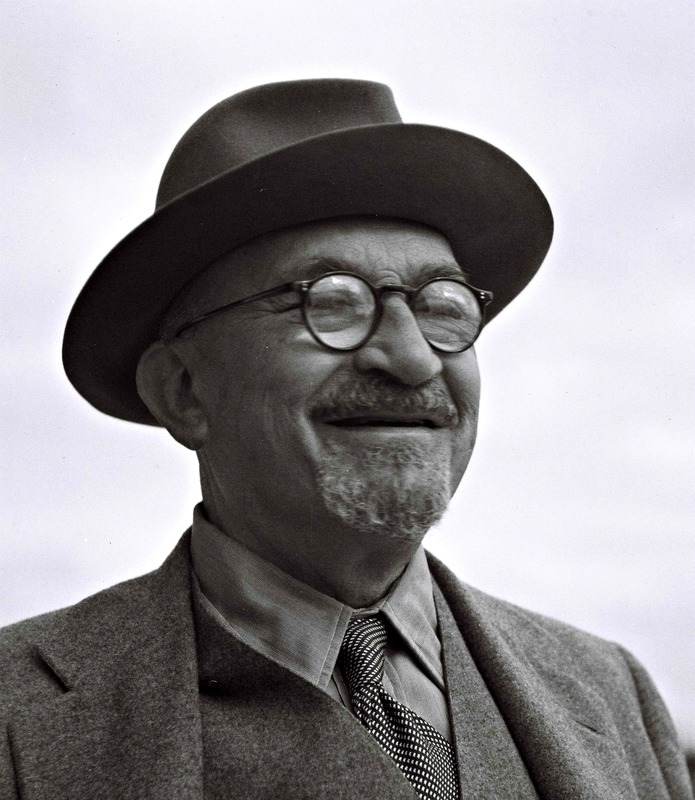 The Weizmann Institute of Science was established in 1934 by Dr Chaim Weizmann, a biochemist and statesman – the first president of Israel (1949-52). Designed to be a light unto the nations, this institute was a breakthrough in the fledgling Israeli culture of academics. We started with the Levinson Visitor Centre with its maps, written guide and short video presentation about the institute and its scientific achievements. Maps in hand, we began our self-guided tour of the campus and stopped first at the Jubilee Plaza. 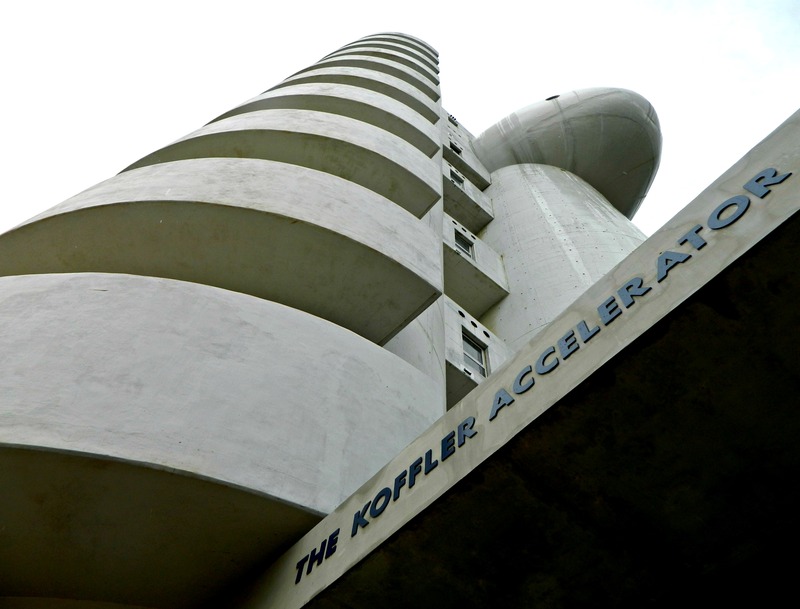 We took a moment to examine our location and the plaza’s geometric beauty before bee-lining towards the institute’s most iconic structure, the Koffler Accelerator – a particle accelerator for nuclear research. Unfortunately, we were unable to gain entrance to climb to the top, despite the fact that the facility is currently inactive. Moving on, we got caught in yet another downpour and took shelter at the plasma laboratory. There, standing beneath an awning with a nice view of countless helium gas balloons, we enjoyed a tough little grapefruit we had picked up just a few minutes prior. Not just filled with buildings and scientists, the campus also has an extensive tree collection, with ID numbers affixed to each trunk. Grapefruits seemed to be quite common, which nourished us on our exploratory tour. 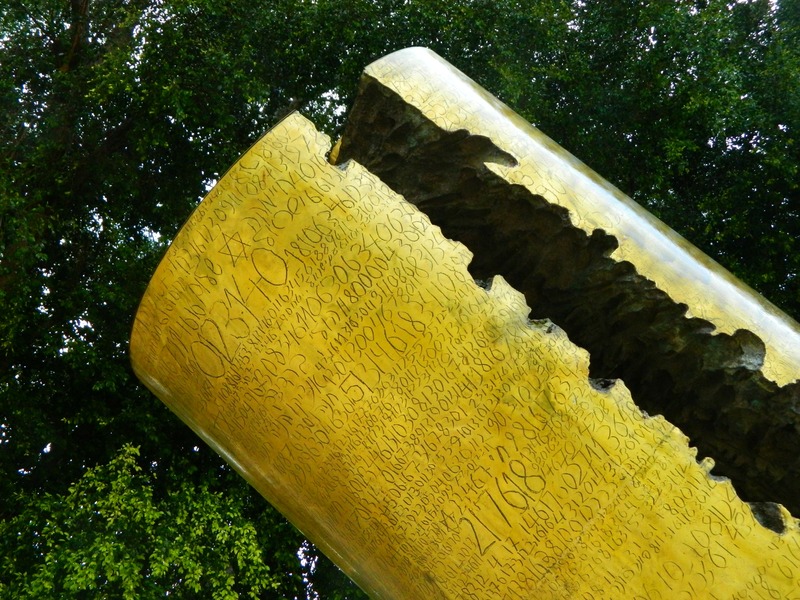 When the rain died down we headed for the quieter eastern side of the campus and came upon the interesting Memorial Plaza with its Holocaust memorial sculpture, and then the gardens of the Weizmann estate. 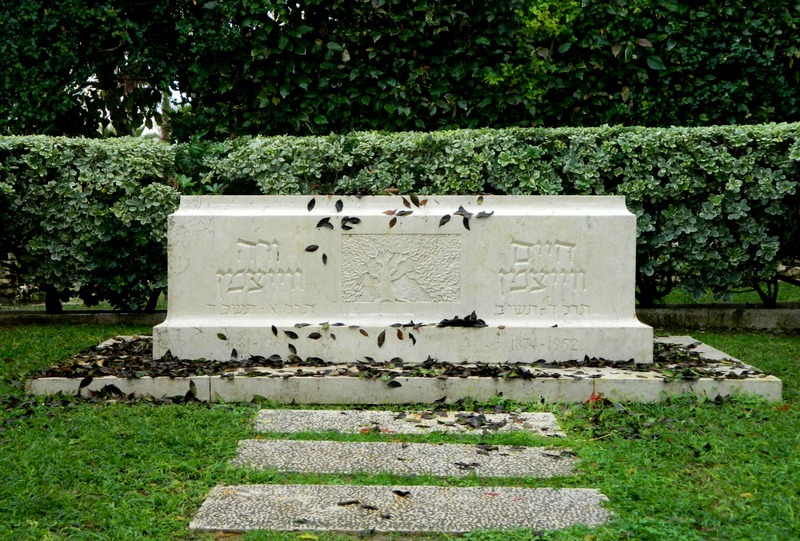 Walking the wet, meandering paths, we first encountered the grave of Chaim and Vera Weizmann. 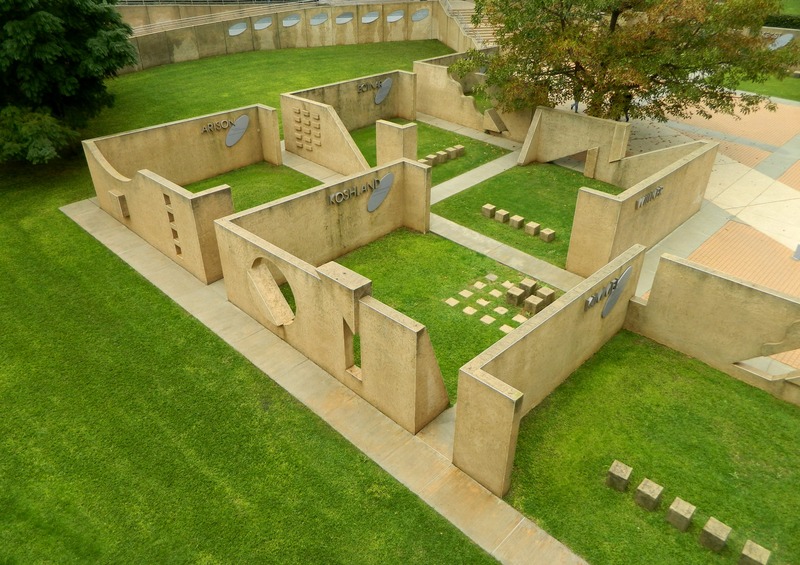 Chaim passed away at age 77 in 1952 and his wife Vera fourteen years later at age 84. Their tomb was specially designed as a cenotaph in memory of their son Flight Lt Michael Oser Weizmann who was shot down as an RAF fighter pilot during World War II and immortalised in a tombstone of missing soldiers. 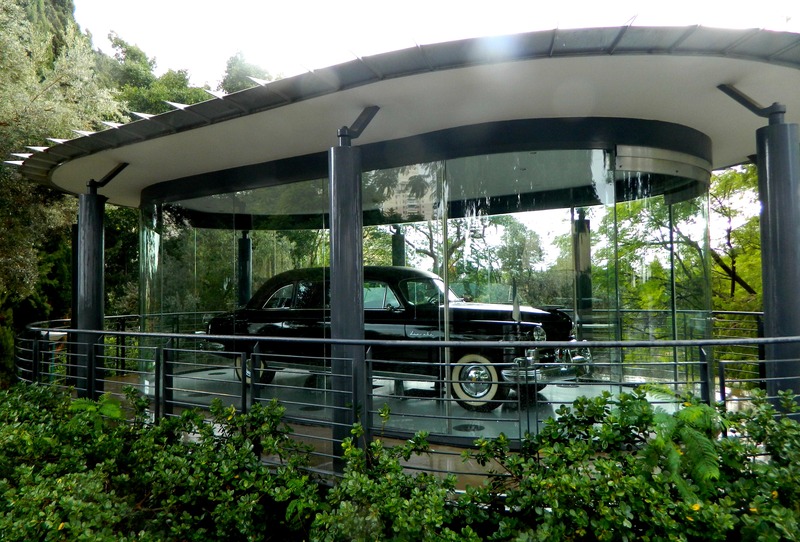 Just after the grave we found the Weizmann presidential car, a custom Lincoln Cosmopolitan sent as a gift from Henry Ford II in 1950. The rain began to come down again as we made a mad dash for the Weizmann House. 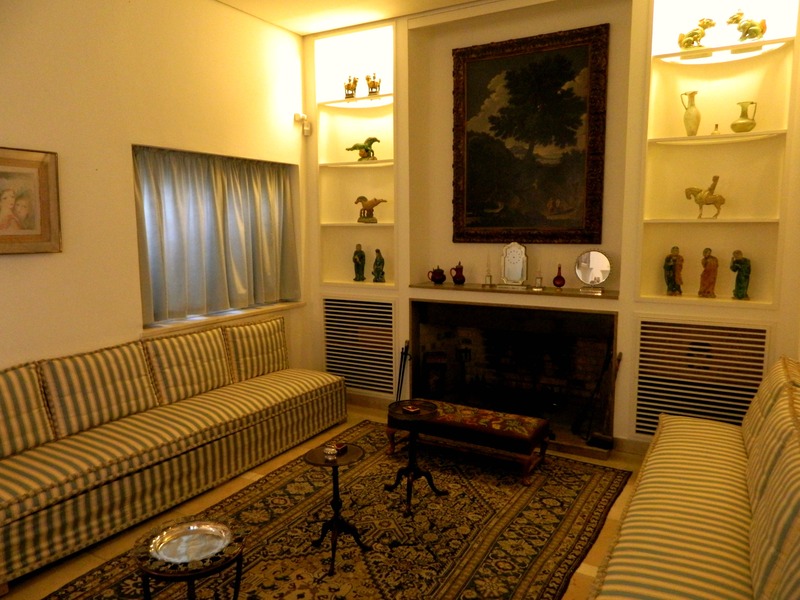 Comfortably dry inside, we received our handheld audio guides and began the tour of the house, starting with the foyer. An architecturally unique house, designed by Erich Mendelsohn, there are several points of interest: the high porthole windows, the thick walls filled with cork and sawdust, and the prominent circular staircase. After exploring the house we sat down to watch a 10-minute summary of Chaim Weizmann’s life and then headed out to continue our tour of the campus. 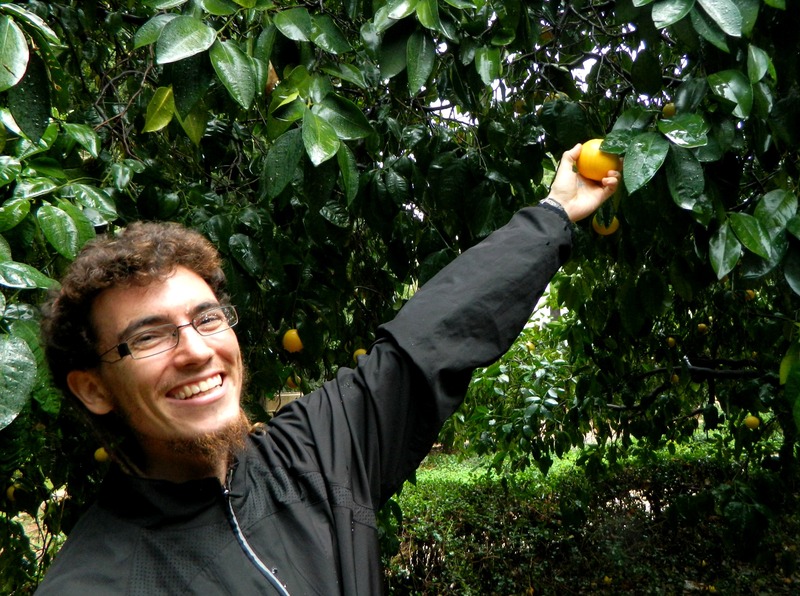 We made an unnecessarily long loop around the edge of the grounds and stopped to pick another grapefruit. We ate the grapefruit as we dodged scattered rain showers and talked about important things. 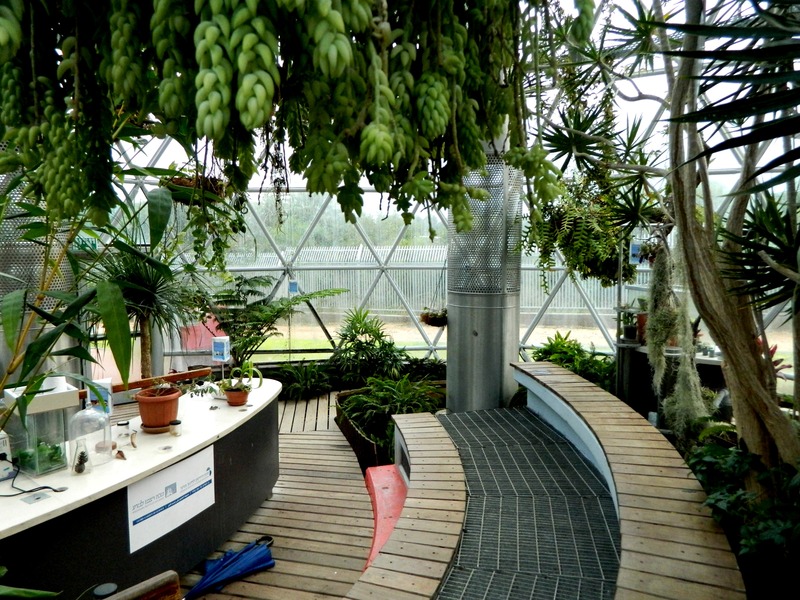 At last, after a quick look at the heliostats field and a large sundial we made it to our next major destination, the Clore Garden of Science. Due to the unfavourable visiting conditions (i.e rain), we received a small discount and entered the outdoor science museum. 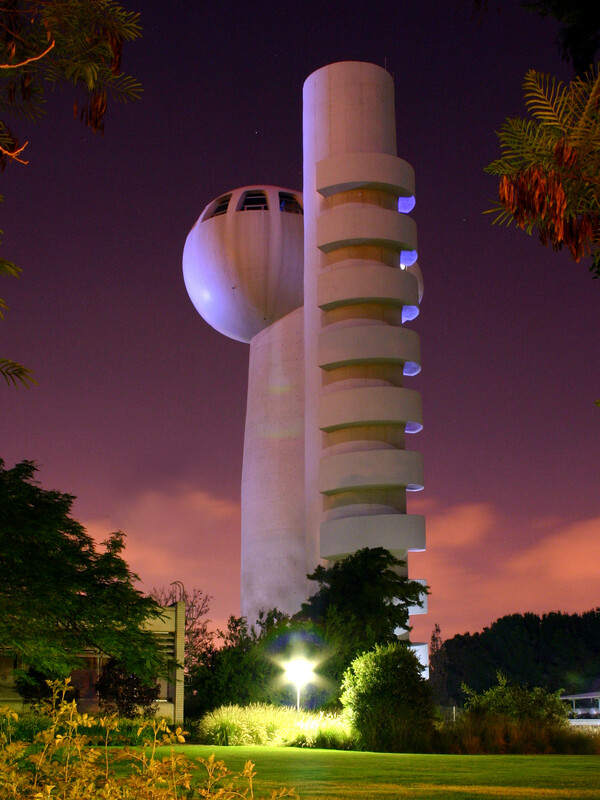 Somewhat similar to Madatech in Haifa, built in the historic Technion building, this hands-on science museum is actually the only one of its kind in the world, with nearly eighty exhibits. Due to the rain, some features didn’t work (for lack of sun) and some were locked (for safety) but there were some interesting things to see and try. Two things that I really wanted to see were the 360° rainbow and the solar furnace but, sadly, I didn’t see either in action. We did enjoy ourselves with the Pipes of Pan, the sound mirrors and the Archimedes’ Screw. 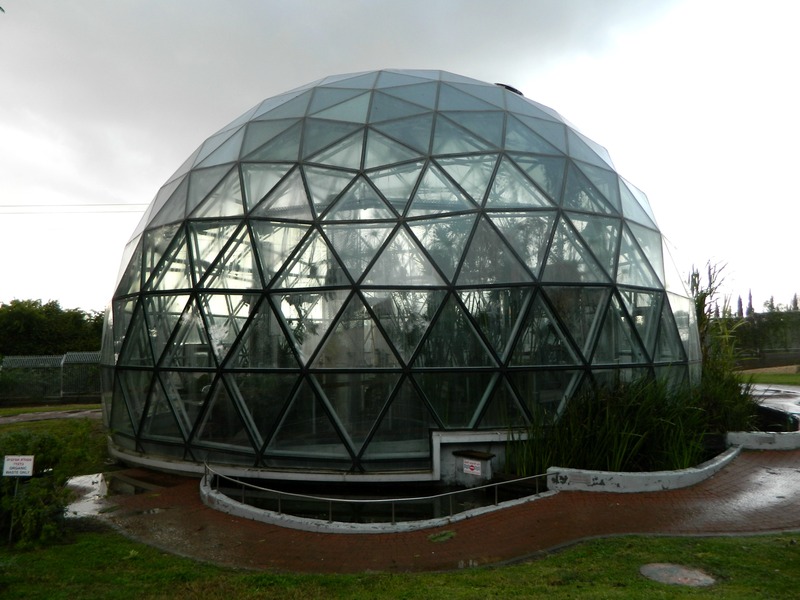 At one point we chased down some employees to open the indoor exhibitions and the EcoSphere (a geodesic dome) and, respectively, had a creepy time at the brain exhibition and a cool time with echo amplification. 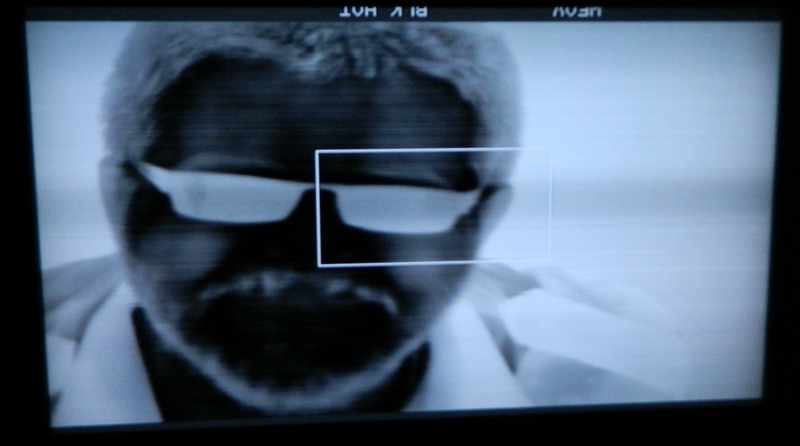 There was also a thermal camera which certainly gives a different look on life. When we were sure that we’d seen and tried everything we left the science park and looped back to the more populated western side of the campus, passing the original campus building (also designed by Erich Mendelsohn) and the well-designed library. As the sun began to set we left the campus and got schwarmas to eat on the town then had a beer back at the apartment and called it a day. It rained when I first came and it rained as I left but all-in-all an enjoyable day was had, plus I got to hang out with my old friend Levi.